The Jewish Leadership Blog: Eicha, how? THE FIGHT FOR life is the fight for spiritual sensitivity. Everything good about a person flows from that. This is evident from all of history, but especially so from today’s society. There have always been rude people, but never has rudeness become such a part of the daily landscape. Greeks could be rude as well. It is a natural instinct, perhaps even part of human survival. But, when the Greeks went to the theatre, only the bad guys were impolite. The good guys were always the one’s trying to act nobly. Even gladiators probably didn’t “trash talk” one another. Man was made in the image of God. This means that he has the capacity to act Godly, with “Derech Eretz.” He can be a “mentsch.” His body, however, was created in the image of the animal world, and that gives a person the capacity to act like one. 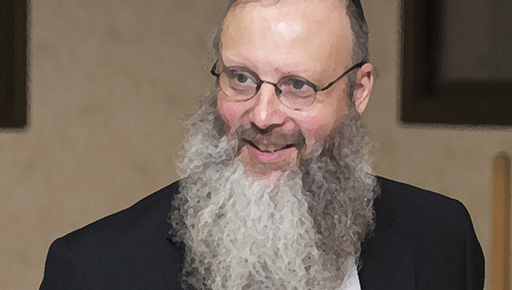 Rav Wolbe in “Aleh Shor” explains that man’s defining characteristic is his ability to pray. He points out that animals can do many of the things that impress us about ourselves, including building things. But animals cannot pray, something that is unique to man. What this really means is that man should first-and-foremost be a “spiritual being having a physical experience.” Animals are just the opposite. They are physical beings with a minimal amount of spiritual potential. But they don’t need more than that, because they were not given free will to increase their Godliness. They are exactly what they were created to be, and this is as spiritual as they need to be. Obviously spirituality is a function of one’s belief in God. The more one believes in God, the more spiritual they will be. The less spiritual a person behaves, the less they believe in God, EVEN IF THEY ARE RELIGIOUS. The two go hand-in-hand and are inseparable, and the fight for life is to remain spiritual so that one can remain Godly. But that’s not what the body wants. It came from the ground and wants to go back to the ground. Death is the fastest way, but it will settle for a waste of life. It has emotions such as material desire, jealousy, and hatred, etc., in its arsenal. It does not hesitate to use any to its full advantage in its war against spirituality when the opportunity arises. The trouble with spiritual wars, unlike physical wars, is that you don’t necessarily know when you are fighting one. In conventional wars, when the bullets fly, you can hear them whiz overhead, or hit some target. When spiritual bullets fly, a person can obliviously be having the time of their life. It is usually only after there has been a consequence that a person realizes the danger they HAD been in. That’s this week’s parsha. That’s Eichah that we will read on Tisha B’Av. Each is a look-back, a lesson for the future based upon the failures of the past. How? That’s what Eichah asks. How did you do it? How did you start so high and end up so low? How did you build so much and end up destroying even more? Spiritual sensitivity is an ongoing battle. If it is not being maintained, it is being drained. If someone is not working hard to keep it strong, the yetzer hara will work hard to make it weak. Needless to say, it has done just this to most of the world’s population ever since leaving the Garden of Eden, and even while still there. This is what we’re supposed to think about on Shabbos Chazon. This is what we’re supposed to recall, sitting on the floor and reading Eichah on Tisha B’Av. We’re supposed to recall, while going one-by-one through the Kinos, how many times we forgot this message, and what it has cost us throughout the ages. THAT is the beginning of the tikun, the initial steps in the direction of redemption.